Police are appealing for witnesses following disorder in Peterborough on Wednesday night (June 15). Officers were called at about 11pm with reports of men fighting in Chaucer Road. When officers arrived, three men drove off in a silver Vauxhall Corsa and it is believed two other men ran off. The Vauxhall Corsa was later stopped in Lincoln Road and a 19-year-old man from Peterborough was arrested on suspicion of dangerous driving. He was taken to Thorpe Wood Police Station and later bailed to return to Thorpe Wood Police Station on July 8. 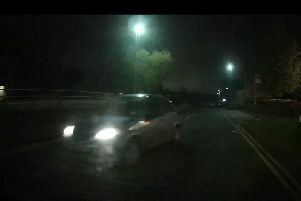 Detective Constable Josh Coe said: “I would urge anyone with information to get in contact.